F-Pace Checkered Flag is driven by several 2.0-liter 240 and 249 hp engines. 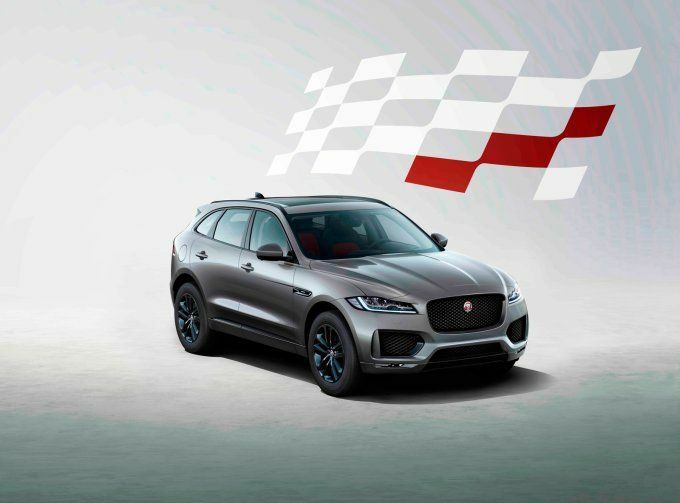 The appearance of the Jaguar F-Pace Checkered Flag can be distinguished by sports front bumpers, Gloss Black trim on the radiator, door trims, side air intakes, and roof rails. The body part is made in the Yulong White, Santorini Black, Eiger Gray colors. An interior features leather trim, Meshed Aluminum decorative panels, Chequered Flag door sill guards, electric ten-way front seat adjustment, Touch Pro Navigation package, Meridian audio, customizable 12.3-inch tidy and multimedia Touch Pro.